Whin Hill Perry is a light & refreshing pear cider with a hint of citrus. Whin Hill Dry Sparkling Cider is a full bodied dry cider made from a blend of cider apples. 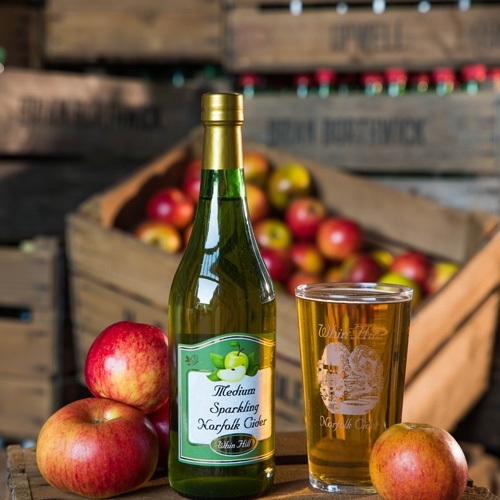 Whin Hill Medium Still Cider is made from a blend of cider apples to give a smooth tasting cider. Whin Hill Medium Sparkling Cider is a light and refreshing drink made from a blend of cider apples. Whin Hill Sweet Sparkling Cider is a smooth and refreshing drink made from a blend of cider apples. 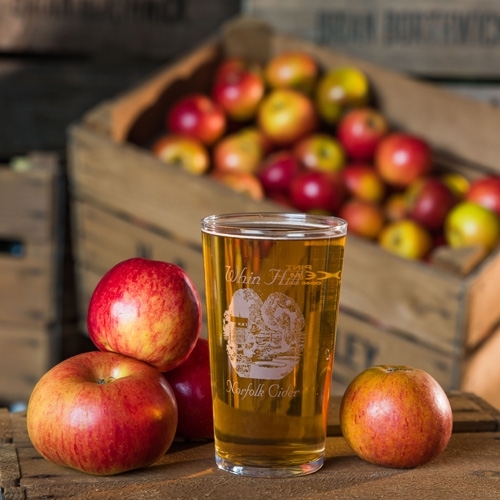 Whin Hill Summer Lite Cider is made from a blend of 60% cider & 40% apple juice, producing a light summer punch. Whin Hill Major Premium Cider is a traditional tasting single variety cider. Made from Major cider apples, it is robust & full bodied. Whin Hill Dabinett Premium Cider is a strong, full bodied single variety cider. Made from Dabinett cider apples to produce a medium sparkling cider. Whin Hill Browns Premium Cider is a light & fruity tasting single variety cider with a bite. Made from Browns cider apples. Whin Hill Extra Dry Premium Cider is a dry, naturally sparkling, bottle conditioned premium cider.